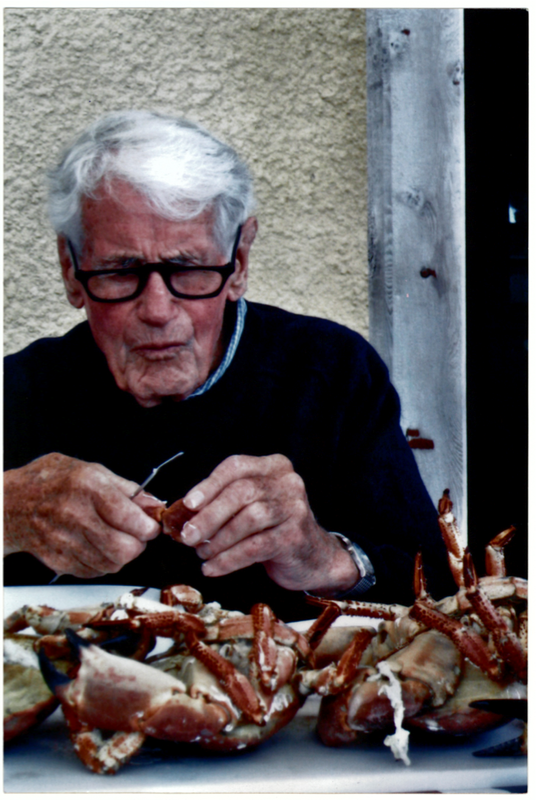 A poem about going crabbing with my father, Ronnie. I'm glad he had read the first version which I sent him last summer (2014), when he went crabbing for the last time, at the age of 90. Ringabella is just along the coast from Currabinny in Cork Harbour, where I grew up in the 60s. through watery lens is seen. folded in along its shell. “A big one. Watch out! Weavers Point, the Perch, the Can. 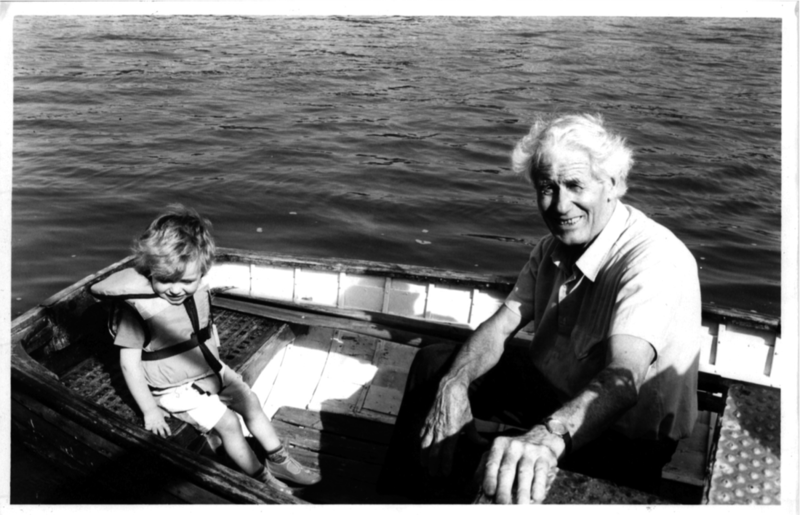 Ronnie with his grandson in the "clinker built punt." Ronnie preparing crabs (bought not caught!) in the Scilly Isles in 2013.